When Rachel and Kirsty arrive at Rainspell Island for a holiday, they have no idea that a magical adventure awaits! The seven Rainbow Fairies have been banished from Fairyland by wicked Jack Frost. If they don’t return soon, Fairyland is doomed to be colourless and grey. 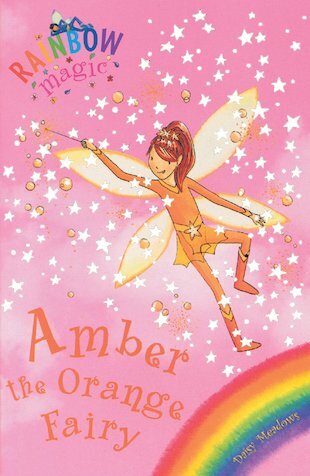 The girls have already found one Rainbow Fairy … but now Amber the Orange Fairy is trapped in a seashell! Can they rescue her too? This time they find amber the orange fairy.